Europe's Trader Joe's Equivalent Is Coming to the U.S. Legions of Trader Joe's devotees and those select few who can't stand the place are about to get a new option in the oxymoronic world of upscale discount grocery stores. Lidl is coming to the United States. The chain, which currently has more than 10,000 locations in 27 European countries, is Europe's version of a Trader Joe's or Aldi. The company says they plan to have around 100 locations open on the East Coast by 2018. The long-term plan has them kicking out as many as 600 locations across the U.S. over the next few years. They'll start with around 20 stores in Virginia, North Carolina, and South Carolina by the middle of 2017, according to a report in Business Insider. 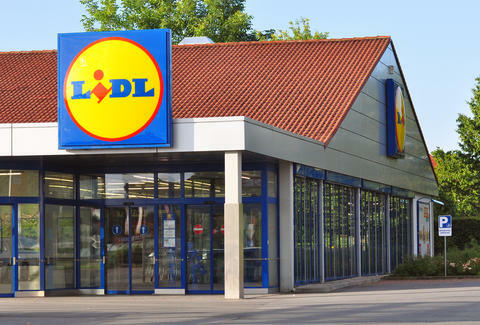 In a presentation obtained by BI, intended for residents of a Maryland community where they hope to build a store, Lidl compared themselves to Trader Joe's despite a perception they're closer to Aldi, a German company with more than 1,600 U.S. locations. Lidl hopes to replicate the success Trader Joe's by offering "quality not quantity." "After three years of research, we [Lidl] discovered that U.S. consumers don't like discount groceries," the presentation read. "Unlike Aldi, the Lidl will be a hybrid similar to Trader Joe's or Harris Teeter, but closer to a Trader Joe's. We will sell high-end brands, quality not quantity, best products only." Products named include locally-sourced produce, private-label coffee, and wine. However, they aren't expected to ditch some of the policies that earned the Aldi comparison, like asking customers to bring their own bags and bag their own groceries. But that's how they keep those infomercial-low prices, allowing you to impress your friends with foie gras instead of a pantry loaded with government cheese.